USA Outback TV is everywhere but now has a base camp in Indianapolis, IN. Our experienced staff has been hunting and fishing from Alaska to Africa and we strive to promote and protect the shooting sports in a pleasant and informative way. Our viewers, customers and sponsors trust our advice which is why we have been a success. As an outdoor television show, we promote all types of hunting- bow hunting and gun hunting, hunting equipment, deer hunting and turkey hunting, bear hunting, fresh and salt water fishing and feature only the best outfitters and guides based here in the USA. When it comes to a quality hunting lodge or fishing lodge, we feature over a dozen online hunting and fishing videos and dvds to choose. Our goal is to provide you with not just deer hunting tv shows but also the best programming and promotions in the industry. 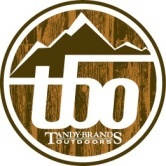 We are committed to building a long term relationship with our viewers and our customers through informative and entertaining outdoor programming while promoting quality hunting products and hunting adventures and fishing trips. Now you can watch outdoor tv shows online. We thrive on the challenge of maintaining our high standards of excellence, and we look forward to sharing USA Outback TV with you!! Code Blue's "Making Sense out of Scents"- full length whitetail deer rut hunting tips. Knight & Hale's "Call of the Week"- over a dozen different calling tips for success. Lancaster Archery Supply "Tech Tips"- from choosing the right bow hunting equipment to shooting form, you'll find it here. To view the above Videos, subscribe by clicking on one of the SUBSCRIBE buttons(monthly or annual). There you will receive a code to log in to the members page 24 hours a day, seven days a week to watch your favorite outdoor tv shows at your leisure! In addition, each show includes weekly "Tech Tips" with the Lancaster Archery pro staff, "Call of the Week" with Knight & Hale, "Making Sense out of Scents" from Code Blue, and "Secrets of the Pros" with Walker's Game Ear. 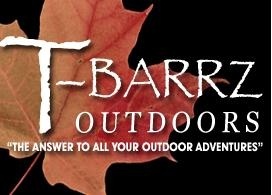 Want to learn about new turkey hunting products? Watch our 'Recommended Hunting Products' videos right here on USA Outback! BUY THE ROTATOR ON OUR RECOMMENDED PRODUCTS PAGE. 'The Perfect Fit for Hearing Protection' on Facebook !